Isn’t it a problem with people, rather than with the form or the system? If we select a politician with leadership ability, the bureaucracy will obey. – A veteran (unidentified) Democratic Party member on why it should be easy to control the Japanese bureaucracy. If it were a question of do as I say, it would have been done a long time ago. Mr. Hashimoto’s success in Osaka is due to his application of the one-man model to local politics. But it will be impossible to control the central government that way. As shown by his early flip-flopping on policies, it will be difficult unless Mr. Hashimoto has a substantial amount of strength. Even if he were to take control of government, he would likely be foiled by the veto power of the Kasumigaseki bureaucracy, which put down the Democratic Party of Japan. But this has been worthwhile to conduct as an experiment until now. Whether for good or ill, he will probably not take power in this election. He is still young, and even if this election is a setback for him, he can put the experience to use in municipal administration. I hope he creates a model for the city-state that transcends the nation-state. SEVERAL years ago, novelist Sakai Junko coined the expression makeinu, or losing dog, to refer to single people over the age of 30. The term has other useful applications, however. Is that not the perfect descriptor for a left-of-center political party that loses the confidence of left-of-center newspapers? That’s exactly what happened to the Democratic Party of Japan. This article by the Asahi Shimbun is several months old, but it explains very clearly one of the most important reasons the party lost the trust of the Japanese public, and lost it almost immediately after they took office. Among the Democratic Party of Japan’s many pledges when it came to power was to loosen the hold that bureaucrats had on policy issues and put politicians in charge. Yet it never challenged the Finance Ministry, the bastion of the nation’s bureaucratic hierarchy. In reality, the Finance Ministry has gained more clout under successive DPJ administrations, winning over prime ministers Yukio Hatoyama, Naoto Kan and now Yoshihiko Noda. One of the key persons appearing in the story is former Budget Bureau chief Katsu Eijiro, who I’ve mentioned several times on this site. In late September of 2009 (N.B. 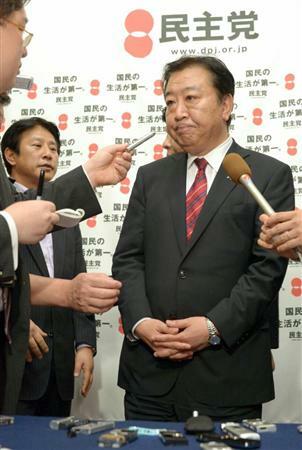 : one month after the DPJ took power), Kan (Naoto), who was national policy minister, was irritated because the government had not been able to decide on a basic budget policy due to a lack of revenue for the DPJ’s campaign policies. Which everyone knew would happen even before the election, but then I interrupt. Katsu, chief of the Budget Bureau, appeared. Kan asked when the basic budget policy should be drawn up if the budget was to be compiled by the end of the year. Kan was visibly relieved. “That makes it easy,” he said. The meeting effectively put Finance Minister Hirohisa Fujii, not Kan, in charge of compiling the budget under the first DPJ administration. 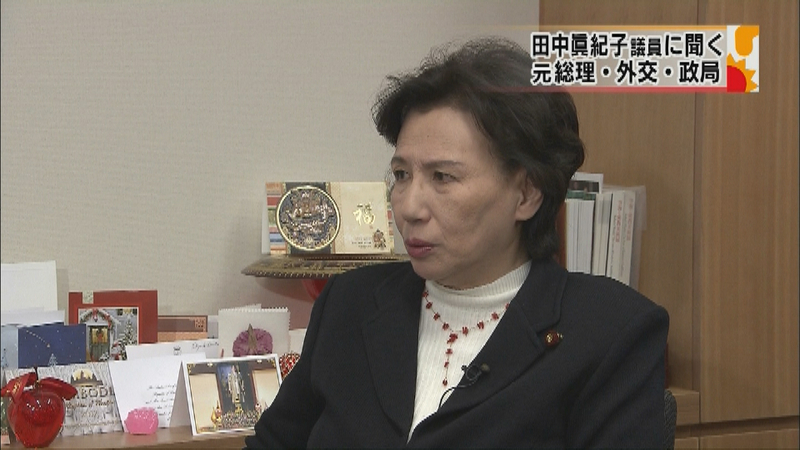 Fujii, 79, is a former Finance Ministry bureaucrat. He became a Diet member after Hatoyama’s father, who was an administrative vice finance minister, advised him to go into politics. Fujii was instrumental in installing Noda as senior vice finance minister under him. Heizo Takenaka, who battled with the Finance Ministry over the initiative in budget formulation when he served as a Cabinet minister under Junichiro Koizumi, said tax increases, not spending cuts, benefit the Finance Ministry. “The Finance Ministry derives its power by allocating money from a fat pocketbook,” he said. Twas ever thus, in every country, but particularly in Japan. That’s why the relationship between the bureaucracy and the political class is always an issue here. Ending bureaucratic control of the government is one of the primary issues that has motivated the regional parties. You know what they say about reading the whole thing? Read the whole thing. A symposium was held at Southern Methodist University in Texas about reform in Japan. Former American Ambassador Thomas Schieffer and I delivered the keynote addresses. Why did Japan stop the reform process, even though it was successful? Why do politicians say that gaps in society have widened, even though they have shrunk? Why aren’t these most basic of questions asked in Japan? JAPAN is now in the business of making money for other countries. The Finance Ministry and Japan Mint announced they have accepted an order for manufacturing 500 million coins in the Bangladesh currency. The Mint had received overseas orders for commemorative coins, including those for New Zealand and Sri Lanka, but this is the first time since the end of World War II they have received an order for a country’s currency in general circulation. Demand for bills in Japan is declining due to the growing use of e-money, and the Mint wants to promote this business a way to utilize its idled equipment and maintain its technological capabilities. It is not unusual for developing countries to outsource the production of its currency. 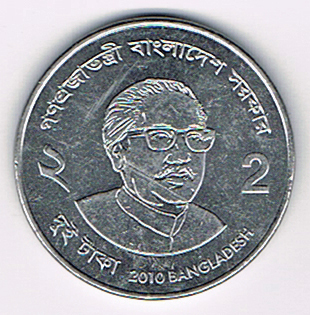 Bangladesh has eight types of currency, and this order is for the two taka coin. It is made of stainless steel and has a value corresponding to two yen in Japan. (One taka is subdivided into 100 poisha.) The Bangladesh Central Bank conducted an international bidding process, and they accepted a bid for JPY 520 million. Manufacturing will begin at the main office in Osaka early next year, and they will send 100 million coins every month to Bangladesh starting in April. The spread of e-money and the slumping economy has spurred the Finance Ministry and the Mint to find ways to receive more of these orders. Among the losers in the bidding were Slovakia, the Netherlands, Germany, Great Britain, and Spain. 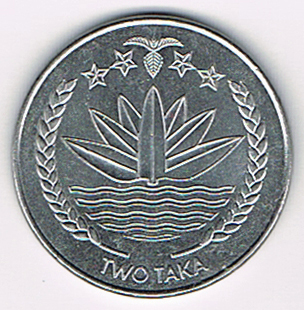 Since 2003, Japan Mint has been an “incorporated administrative agency” headquartered in Osaka. That means it is still affiliated with the national government. The slogan for the Koizumi reforms was to remove from the government and entrust to the private sector anything the private sector could do. The principle is that the private sector always does everything better than the public sector except the mass extermination of people in warfare. Had the Abe administration successively privatized the Mint, they most likely would have been involved in this business for several years already and creating new capital without using any from the public sector. The people in the Finance Ministry probably know that as well, but it is not in the interest of people to understand anything that puts their interests at risk. People say that it’s unconscionable when the bureaucrats make decisions just to suit themselves, and they’re right. But when politicians ignore the law to make decisions to suit themselves, that’s even worse. The bureaucracy measures a prime minister’s strength by how much influence he has in the ruling party. If the ruling party is united in support of the prime minister’s policies, the bureaucracy cannot directly oppose him. In the Japan Post election of 2005, Mr. Koizumi destroyed the opposition, and he obtained immense power within the Liberal Democratic Party. For about three months after that, the bureaucracy was attentive to his behavior, and unconditionally fell in line with his wishes. As soon as they realized he wasn’t going to run in the next election for party leader, his influence rapidly declined. * The basis for the statements coming from the Democratic Party of Japan is the Finance Ministry path itself. This has thrown into relief the fact that the DPJ is not a party of reform. The ministry turned its back on the party long ago, and is treating it coldly. * It seems as if (Prime Minister) Noda will squat in place (without calling an election). The Finance Ministry has turned its back on him, too, and there’s no telling what they’ll do next. Noda himself understands that much, but he still can’t do anything. He told Watanabe Yoshimi (Your Party head) that the Finance Ministry did him in. Why is it that newspapers can’t print this story? Watanabe talked about it openly at a news conference. * The Finance Ministry uses and disposes of politicians all the time. This is the A of the ABCs for observing Japanese politics. They did the same with Yosano Kaoru and Tanigaki Sadakazu. 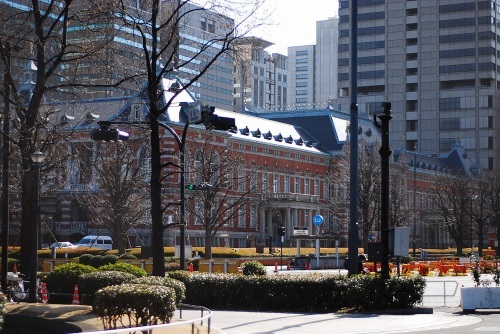 Since the Meiji Restoration, they’ve believed they are the royal road in Japan. * The essence for considering oneself a Third Force in Japanese politics is to break up the centralization of authority and the system of bureaucracy. (In real terms, that means breaking up the system of Finance Ministry control.) Without this, there is no point in talking about who is going to align with whom and do what. And that is all you need to know about how Japanese politics works. AS the vice-governor of the Tokyo Metro District, Inose Naoki had a behind-the-scenes view of the circumstances when the national government supplanted the Tokyo Metro District to purchase the Senkaku islets. Twitter is the de facto Japanese blogosphere, and here is a series of six Tweets he recently wrote presenting the Tokyo Metro District’s viewpoint. They’re a bit sketchy owing to the nature of the medium, but they’re still worth reading. 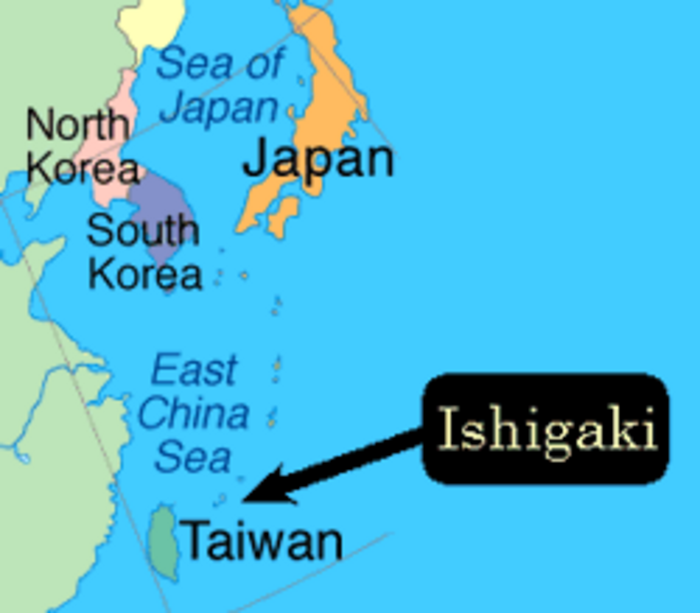 * It’s very risky for the fishermen from Ishigaki to travel to the Senkakus with its abundant fishery resources. They have five-ton ships and 1 watt radios. The Chinese and the Taiwanese operate much larger ships, and they have 10 watt radios. In light of this, Ishigaki Mayor Nakayama Yoshitaka (a former Diet member) asked if it would be possible to build a basin for their ships and a radio tower. Contact with the owner of the Senkakus was possible through upper house member Santo Akiko. * A message was relayed from Ms. Santo to (Tokyo) Gov. Ishihara. He met with the owner a year ago. The owner said he wanted to transfer the islets before any problems with the inheritance (taxes) arose. Ordinarily, discussions would have started right away, but the situation became as slippery as an eel. There were financial liabilities, but an investigation would soon turn those up. There were also assets, but a look at the balance sheet showed they were worth about JPY 1.0 – 1.5 billion. * The owner requested a deposit, but that was not possible because of our responsibility to provide explanations to the taxpayers and the procedures based on the rules of democracy. We conveyed our intent to survey the islands and to entrust the matter to the asset valuation council, which would determine an appropriate price. We would also have to ask the assembly to approve the purchase. At just that time, the Noda government approached the owner with a JPY 2.05 billion-plus offer that would ensure him a large profit. * What was a simple matter of the domestic transfer of title from the owner to the Tokyo Metro District suddenly became a matter of nationalization. If it’s a question of shifting from an annual rental of JPY 25 million to nationalization, then it’s meaningless. When Prime Minister Noda and Gov. Ishihara met, the prime minister thought the ship basin plan was a good idea, and said he would respond soon. But the Foreign Ministry doesn’t listen to the Kantei (PM’s office). The Kantei has no influence at all. * The Foreign Ministry made an inquiry to the Chinese in some form, but the (Japanese) official didn’t want to create a disadvantage by doing something unnecessary, so he formally withdrew. It was completely beyond me why they were nationalizing the islets for a bundle of money. It just exposed the government’s indecisiveness for everyone to see, including the Chinese. The sense of the word “nationalization” is completely different in China. They just made excuses. * Allowing the Hong Kong activists to land on the islets was a clear error in judgment by the Noda administration and the Foreign Ministry. Allowing the issue of the territory to become a dispute will result in further escalation. They should have dealt with them before they reached shore. It is not possible to have a discussion with people who say, “The Senkakus are our land, so we’ll attack and loot Japanese corporations.” What remains is the problem of Chinese pride. Here’s an unrelated update/addendum that’s too short for a regular post, but still deserves mention. Here’s this week’s lead story in the parade of under the radar, under-reported events in Asia. The Japanese government’s purchase of the Diaoyu/Senkaku Islands has sparked violent street protests throughout China as fishing boats were dispatched to the disputed waters to oppose Japan’s nationalization of the contested islands. To be fair, some, though not all, of the mini-stories are under-reported. Then again, not all of them are Asia-related. Nevertheless, that’s as good a demonstration as any of why I spend so little time reading what the Western Anglosphere has to say about East Asia. In a column in the Sankei Shimbun, Yayama Taro calls for a political reorganization based on a decoupling from the bureaucracy. He concludes, “In domestic affairs, the question is whether or not politicians are capable of the persistence for a decoupling from the bureaucracy. As (Osaka Mayor) Hashimoto has shown, it is possible if the political will is there.” His argument is correct. The reason 60% of the public has a positive view of the entry of One Osaka, the group he leads, into national politics, is that he has conducted governmental reform for five years in Osaka Prefecture and the city of Osaka. He has been persistent in his efforts to achieve a decoupling from the bureaucracy. In contrast, the Democratic Party of Japan was able win public support and take control of the government by promising a decoupling from the bureaucracy. But their efforts to make the National Strategy Bureau the control tower for reform were a failure, they were unable to create a basic program that would be a blueprint for reform, they deboned initiatives to decouple from the bureaucracy, and the moves to eradicate amakudari, reform civil service, and promote regional devolution were all aborted. In the end, all they accomplished was a consumption tax increase, breaking their promise not to do so. For three years, the DPJ government has been unable to decouple from the bureaucracy. Rather, it has become a bureaucracy-led government. That’s why the public is showing the DPJ government the red card, and 60% of them are supporting the entry of One Osaka into national politics. The problem is the Liberal-Democratic Party. It is the LDP that should form the framework for a government to transcend the bureaucracy-led politics of the DPJ. From 2003 to 2007, the Koizumi and Abe governments established the Council on Fiscal and Economic Policy as the control tower of reform, created a basic reform policy, and in accordance with that, delivered a “Japan Where the Sun Rises Again”. The question that must be asked in the LDP presidential election is whether the party will proceed on the Koizumi – Abe course, or whether it will repudiate that course. Some members of the Kasumigaseki Bureaucracy do not seem to look kindly on the LDP pursuing the Koizumi – Abe course and the idea of a “Japan Where the Sun Rises Again”. I’ve heard rumors that they’re starting their information war. When the LDP becomes incapable of reform, I think we all know what will happen in politics. TAKENAKA Heizo, the man responsible for cleaning up the post-bubble banking problem and launching the privatization of Japan Post, and Nakada Hiroshi, former Diet member and Yokohama mayor, serve as advisors to the most important politician in Japan today: Osaka Mayor Hashimoto Toru. The land that was covered in water and thoroughly ruined as a result of the earthquake and tsunami will require an enormous amount of money to be restored for agricultural use. I helped clean up the land at Rikuzentakata (Iwate) recently. At a glance, it looks like all the rubble has been cleared away, but that’s because all the large debris, such as collapsed houses, cars, and logs, have been removed. But up to 20-30 centimeters below the surface of the farmland, there’s an enormous amount of glass and plastic shards and other material buried there. It was also covered in salt (from the seawater), so the soil needs to be improved. The radioactivity has to be removed in some places too. The state of the land means that it isn’t possible for individual farmers to clean up their fields, even if they spent the rest of their lives doing it. It would be the height of stupidity to tell the small farmers, who are aging, to stick with agriculture. At any rate, it would take an immense amount of money to provide assistance to the individual farmers, so the state should look after their interests, sovereignty should be restricted, and the land should be nationalized. Then, large agribusiness companies should be created to conduct agriculture on a large scale. They could employ the older farmers, who would earn more money than they do now. They also wouldn’t have to worry about who would take over the family farm. This is a major opportunity. He’s right. It is a major opportunity, and all of his observations and ideas are excellent, with one exception: the first sentence of the second paragraph. Everything he thinks should be done can be done and done better without nationalizing the land and the government getting in the way. The same objectives could be accomplished by facilitating the formation of agribusinesses and letting them purchase the land. It’s curious that Mr. Nakada would suggest this, because he is seen as an advocate of small government (as is Mr. Takenaka). He also understands the critical importance of limiting the power of the national bureaucracy at Kasumigaseki. Nationalizing the farmland would increase that power rather than reduce it. Very close, but no cigar. * Rumor has it that both of these men will join the new political party that Mr. Hashimoto and One Osaka are about to create. There are also rumors that Mr. Nakada will run for a Diet seat in the election expected by the end of the year, but he denied it on Twitter yesterday. *One plank in the One Osaka platform is to make the appointment of deputy ministers (usually bureaucrats) and ministry bureau heads the responsibility of politicians. That might sound geeky to people unfamiliar with the issues, but it is an essential first step in resolving all 30 of the major problems. * The government of Abe Shinzo backed measures to promote agribusiness, but Ozawa Ichiro saw that as a major opportunity too — to promise the farmers individual government subsidies, roll back the Abe measures, and thereby contribute to a DPJ election victory. Such a farsighted statesman he was. It’s the weekend, and that means it’s time for some fun. Offbeat Thai rapper Joey Boy knows all about fun. Well, that and how to put pretty girls into his videos. This one is triple fun. IT’S often said in Japan that the nation’s bureaucrats are politicians and the politicians are lobbyists (sometimes for the bureaucrats). Author, university professor, and advisor to Your Party and the Hashimoto Toru-led One Osaka, Takahashi Yoichi was also a Finance Ministry bureaucrat, Cabinet Councilor, and member of the Takenaka Heizo team that planned the Japan Post privatization during the Koizumi administration. 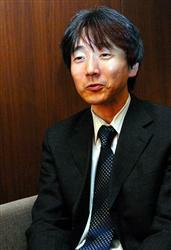 He has seen from both sides of the fence how Japan’s bureaucracy manages the news. Mr. Takahashi recently wrote a brief article explaining how it is done. Here it is in English. I once worked at the Finance Ministry, and I was involved with the discovery of young “government-patronized” scholars and formulating measures for the mass media. I’ll use my experiences from those days to explain the methods the bureaucracy uses to tailor the “government-patronized” scholars and to manipulate the major newspapers into printing editorials and other articles with a certain slant. Whenever the tone of all the national newspapers (on an issue) is the same, the bureaucracy is usually behind it. Here’s something I actually saw during my time in the bureaucracy. When conducting campaigns for the adoption of particular policies, the department heads at the ministry were put in situations in which they competed against each other to work on the newspaper editorial writers and television commentators to get them to write or say something. Seen from the side, it was like a competition among government employees for promotion of the sort that occurs in the private sector. The department heads worked as hard as they could at it. Recently, all the national newspapers chanted in chorus about the need to “leave behind the politics of indecision”. Perhaps I’m imagining it, but that seems like the result of a (bureaucratic) mass media strategy. There are no formal debriefings or conferences of that sort, but before other meetings at the Finance Ministry, senior officials would chat about which of the newspapers wrote the best articles. (In other words, which newspapers said what the ministry wanted them to say). The department heads who were unable to convince the newspapers to write articles with the desired message always looked downcast. The methods the bureaucracy uses to convert academics into “government-patronized” scholars are simple. 3. Pay for their meals and lodging for overseas trips, upgrade their seats on flights, and provide assistance at their destination. The academics will be surprised at how simple customs procedures become. 4. Help find work for their students by recommending them to public research institutes, etc. 5. Give them preference for the allocation of funds for research and outsourced surveys. This creates a powerful triangle consisting of the bureaucracy and the brainwashed mass media and “government-patronized” scholars, which disseminates a large volume of biased information. This triangle was fully operational to achieve the consumption tax increase and mold the segment of public opinion that believes a tax increase is unavoidable. It is not easy to convey the disdain inherent in the original Japanese for “government-patronized” scholars. It is the same word used in the phrase “purveyors to the Imperial Household”. Having a pipeline makes the job a lot easier. ONE of the most important issues for people who read and think in Japan — and the most important for some of them — is the issue of systemic reform of the government at both the national and local level. That is one of the objectives of reformers such as Osaka Mayor Hashimoto Toru, and it is one reason he has received so much support from the public. One of Mr. Hashimoto’s special advisors in Osaka is Hara Eiji, who is responsible for the areas of public employee regulations and education laws. A Univerity of Tokyo graduate, he joined the Ministry of International Trade and Industry (now Economy, Trade, and Industry) in 1989. Mr. Hara became an aide to Watanabe Yoshimi when the latter was the Minister for Reform in the Abe and Fukuda cabinets before he left the LDP to form Your Party. Now the president of his own consulting company, Mr. Hara published a book on his experiences and bureaucratic reform titled Bureaucracy Rhetoric. He was recently interviewed by the Kansai edition of the Sankei Shimbun. Here it is in English. – What do you think of the Osaka Metro District Concept? I can’t evaluate the concept itself. The decision has been reached through an election to realize the metro district concept, but it won’t move forward unless a decision is made in the Diet, which includes MPs from Hokkaido and Okinawa, for example, who don’t have any connection with Osaka. That’s strange. – What are the advantages of regional devolution considering the problems of centralized authority? The central government ministries and agencies say that if affairs are entrusted to the regions, they’ll make a mess of it. To a certain extent, they’re correct. But the problem still remains that those regions with both ability and incentive are being hindered. Not everything will be rosy with regional devolution. Some regions probably will make a mess of it. If they grow where they can grow, other sectors will hold them back. – What about Osaka Prefecture and the city of Osaka? I think they have ability, but when you talk to the prefecture and municipal employees about policies, they often say something won’t be possible because of the relationship with the national government’s ministries and agencies. I have to wonder if they think the national government is their work supervisor. To begin with, employees have to do their jobs for the citizens, but many local governments work by following the “guidance” of the national government. Local government employees also have ability, but what they seem to lack is awareness. – A basic law for employees has been passed (in Osaka). Will the awareness of civil servants change? That law wasn’t passed to give a hard time to employees with poor performance. Under the previous system, employee evaluations would be the same whether they worked hard or not. If salary increases are based on seniority, the people who want to work for the citizens would wither on the vine. We must have a system that enables the people who had high ideals when they were hired to maintain those ideals. – Was there a lot of opposition from the employees about the law? Public employees have the image of being the forces of opposition, but they too understand in their hearts that things must change. Nevertheless, their evaluations are tied to their adherence to precedent. Their awareness won’t change unless we create a mechanism that allows their work for the citizens to be the basis of their evaluations. It might take time for this intent to fully penetrate, but it will be meaningful if there is an effect after a year. It is important to implement better policies by changing the organization. The premise of all reform is a public sector organization that performs its job for the citizens. The reason that no progress is being made at the national level, even though people are shouting about the need for different reforms, is that there was a flight from the castle keep of reform, which was systemic reform of the civil service. Reforms that make all public servants enemies will be very troublesome, and there is no way the particulars of reform will advance with the public servants protecting vested interests. Different regions have different problems, but they have somewhat in common a structural problem. The relationship between the national government and the regions is a problem that arose because people had become bound to a discipline that dates from before the war. Osaka was not all that bad. We’re already at the point at which the decision-making framework for central government offices is not functioning well. We must change that into a framework which allows the regions to step up to the challenge of doing what they’re capable of doing.